Independence Themed Cutting Practice for Preschoolers! 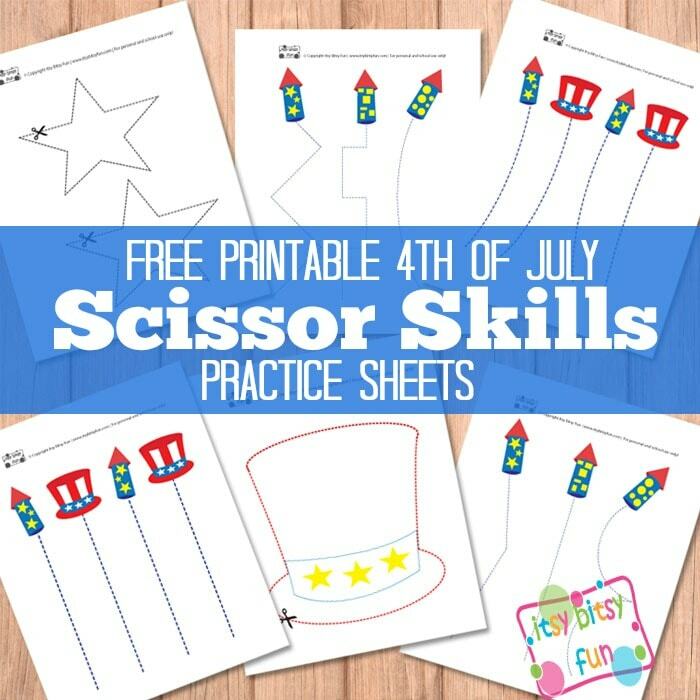 Let’s celebrate with these free printable 4th Of July Scissor Cutting Practice Sheets! You can mix things up by adding some 4th of July coloring pages to make it even more fun! Scissor cutting skills are an important part of preschool and a great way to improve on this skill is by making crafts that requite scissor work or by using cutting practice sheets such as these. You can start your kids off with simple straight lines than let them work their way up to more complex shapes. These are great to use around Independence day or Memorial day but there’s no limits in using them all year round. 2 pages with super easy straight and curved lines. 2 pages with curved and edged lines. 2 pages with shapes – stars and patriotic hat. Get Free Independence Day Cutting Practice Sheets Here. If you are looking for a simple and frugal craft you should definitely check patriotic toilet paper roll bunting.